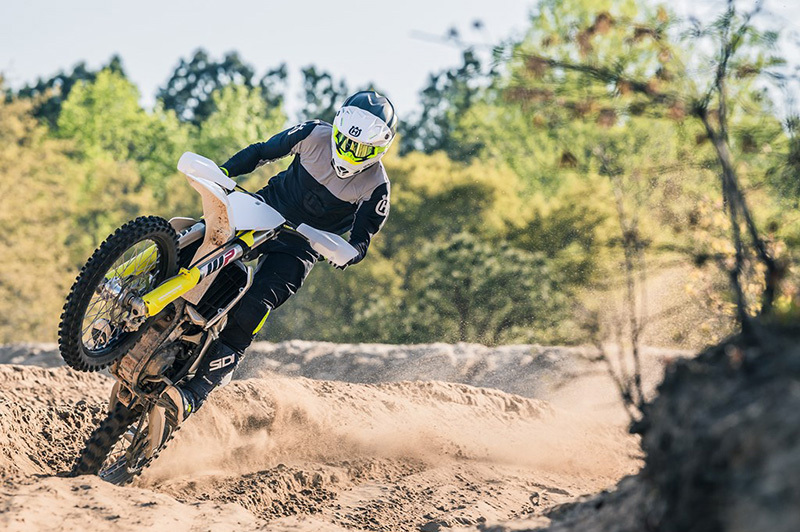 The frames on the 2019 Husqvarna motocross range feature increased stiffness, for improved rider feedback, better energy absorption and exceptional straight-line stability. The frame is finished off in a premium blue powder coating with standard frame protectors for superior protection and durability. The black-anodized CNC machined triple clamps feature a rubber damping system that reduces vibration, increasing comfort. The triple clamps have been meticulously designed to evenly distribute the clamping force on the fork leg, maximizing contact area for optimal sensitivity and minimal friction. The WP AER 48 fork is lightweight and easy to adjust through a single air valve for pre-load, using the supplied fork pump. Compression and rebound fine-tuning is handled by tool-free click adjusters. 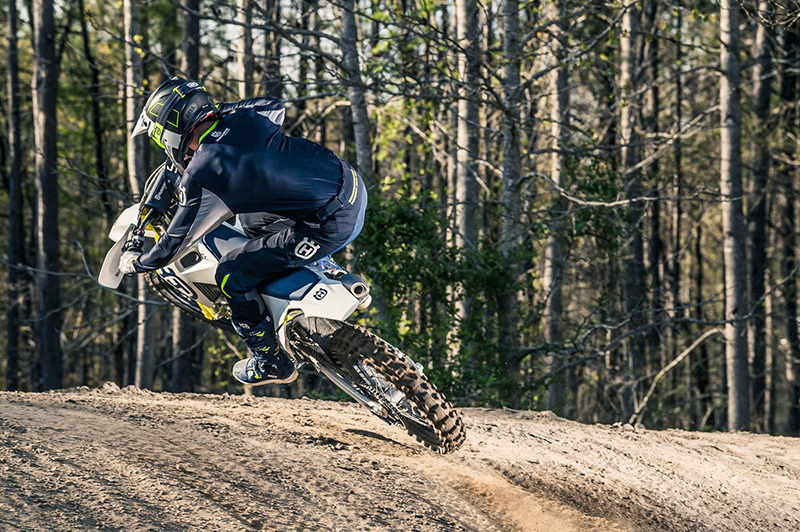 Together with the fully adjustable WP DCC rear shock, Husqvarna offers superior suspension performance, feeling and comfort. All major components and shaft arrangements have been carefully designed and placed in specific positions that best suit the performance and handling characteristics of the FC 250. 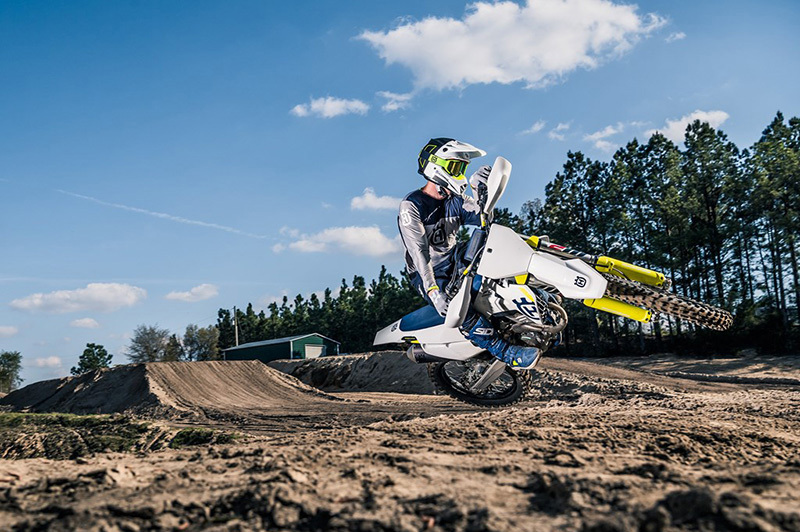 The 250 cc engine is not only light at 57.5 pounds but also remarkably powerful. One way in which this was achieved was by engineering key components to produce the least amount of friction possible, reducing drag as a result. Featuring finger followers treated in a Diamond-like Carbon (DLC) coating, the DOHC cylinder head is engineered for high-level performance. Large titanium valves - 32.5 mm intake and 26.5 mm exhaust - aid the motor to rev freely towards its 14,000 rpm limit, while maintaining smooth, efficient power throughout the rev-range. The aluminum crankcases have been designed to house the internal components of the engine in the perfect position to achieve the ideal centre of gravity. The lightweight casings are manufactured using a high-pressure die cast production process, resulting in thin wall thickness while retaining exceptional reliability. The iconic Husqvarna logo adorns the bronze finished crankcase covers. 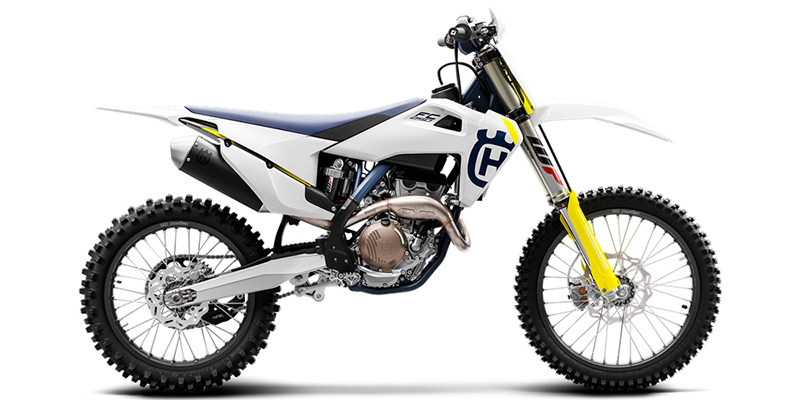 The FC 250 exhaust system has been expertly designed to deliver the best possible performance while adhering to the FIM noise limits. The header pipe features a resonance chambers for optimal performance while the silencer is crafted from lightweight and strong aluminum. 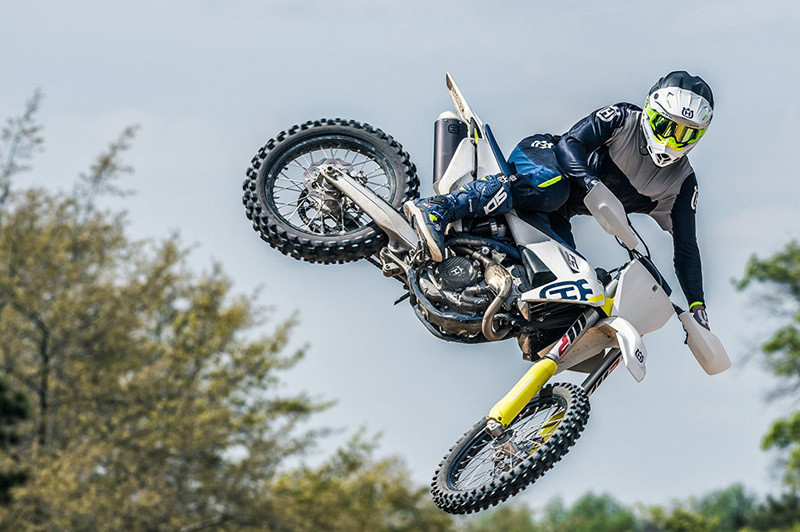 2019 sees the introduction of new PRO TAPER handlebars, featuring an updated bend to further increase comfort by improving the pressure point on the rider's hand, while standard flexible handguards offer maximum roost protection. The ODI lock-on grip on the left side does not require gluing, while on the right, the vulcanized grip features an innovative integrated throttle mechanism. The assembly has easy free-play adjustment and, by changing a cam, throttle progression can be altered. Feather-light clutch action and near maintenance-free operation are a few of the benefits of the MAGURA hydraulic clutch setup. Play is also constantly compensated so that the pressure point and function of the clutch remain identical in hot or cold conditions, as well as over time. For 2019, the FC 250 features a new Diaphragm Steel clutch, which accounts for a further weight saving of 190 g. The clutch basket is also engineered from a single-piece of CNC-machined steel that allows the use of thin steel liners and contributes to the compact design of the engine. 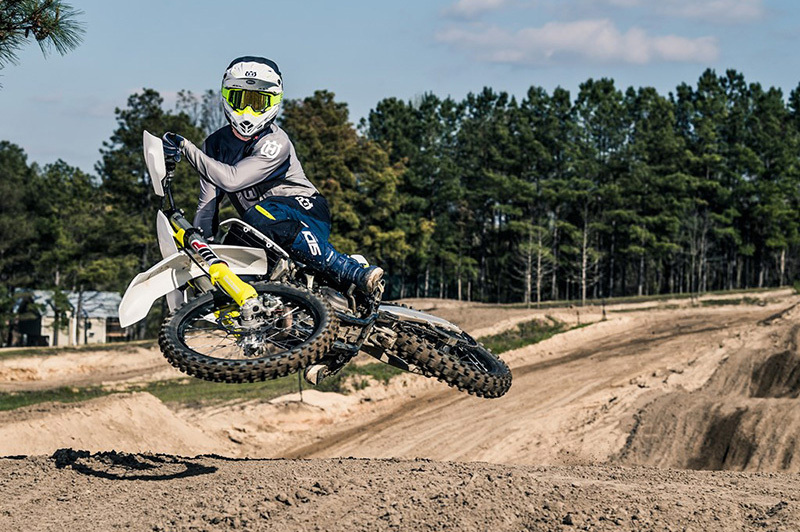 Produced by PANKL RACING SYSTEMS, the new 5-speed gearbox is designed to be extremely light and durable while featuring specific and proven motocross-specific gear ratios.